Getting links from your own posts (links within the blog) i.e. Interlinking. Interlinking, also known as Internal linking, is an On page SEO strategy in which links are created within the blog. I mean cross linking of blog posts using relevant anchor texts. Most of the times it is ignored by many of bloggers due to lack of information as how it can help a blog tremendously. It must not be missed because it can be a great strategy to improve your blog’s overall performance naturally in many ways which you will read below. How Interlinking is beneficial for your blog? Internal links pass link juices thus they are beneficial for the blog’s SEO and can help you improve search ranking for blog posts. It helps improve search engine crawl rate, reducing bounce rate of your blog and also build a proper navigation path for the blog readers. It helps increase page views of your blog. It helps reduce bounce rate of your blog. How to interlink your blog posts the right way? After reading the benefits of interlinking, you now know how important it is for your blog but just doing it won’t help. You need to do it the right way to get most out of it. Internal linking can be done greatly only when you write blog posts in your niche because to interlink you need related anchor texts which you can have only when you have the content in the similar niche. Suppose if your blog is full of health articles and you are writing a tech article, you won’t have any word or phrase to interlink. Thus you need to be within the niche. Also, before writing a blog post you should think of the other older posts which you want to link within it because it gives you ideas to use anchor texts wisely and naturally. Don’t just interlink your blog posts for the sake of linking but to do it to add value to your blog. Always use relevant anchor texts to link your other posts. When I say relevant, it means that the text should be relevant to the post you are link on it. Then which one you will you link on the anchor text given above? Probably you will select the Post 1 because this is a list of computer programmers which exactly related to the anchor text computer programmers. On the contrary, if you select Post 2 which is a list of computer hackers then it would be a wrong choice because hackers are different from programmers however hackers are also have programming capability but still they are different in general saying. If you don’t use relevant anchor text then your readers get misguided because when they click on the link and get exactly different thing what they have expected. You can lose your regular readers. P.S. If you are yet to know that what is Anchor text then let me tell you that the text on which you make hyperlink is known as Anchor text. I have already said in many of my previous articles that doing anything in excess is not good for SEO, same goes for interlinking. You might have seen few bloggers make too many links within their articles but making 6-7 internal links in a 600 words article is more than enough. You can do as many you want but a page passes more link juice which has fewer links on it. It’s just simple as that if you distribute something among 5 persons then each one will get enough but if the same thing will be distributed among 100 persons then each one will get small chunks. Thus, try to restrict it to a good limit rather than linking each and everything. So many links in a post also make blog post look spammy and distracting. You may lose your valued readers for doing it in excess. Most of the bloggers mostly do internal linking in the new posts only but I would like to advise you to link your newer articles from older articles which are getting good and consistent traffic as it can help you increase traffic and some link juice as well. It is not mandatory if you are doing internal linking solely for readers but if you are doing for SEO purpose then it is important to make links in the upper parts of the post because it is been said that links higher on a page pass more link juice. Let me tell you a fact if you don’t know that search engines follow only the first instance of the same link. I mean if you link the same post 2 times in your current blog post using either different or same anchor texts, search engines will only consider the first one which comes upper in the post. Thus there is no need to make same links multiple times in an article as far as SEO is concerned but at times if it is indeed important for your readers’ reading experience then you can do it. You can see that I have used the word “Recommended reading” and given link to a blog post of the same blog but again relevancy matters here too. As you if the post is about SEO then you cannot recommend your readers to read a gadget post but you need to recommend something from SEO subject or some related term. You can use any call to action like “you might like to read” or “Must read” or anything which you find more appealing. You have read all the benefits of interlinking and also read how to do it the right way. 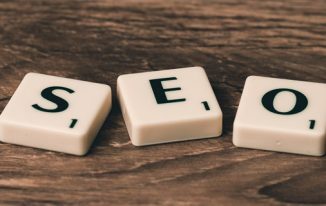 So the next time you start writing your blog post, make sure you do better interlinking to get the SEO benefits as well as give your readers a great reading experience. I’ve read your valuable points to interlink the posts, I’m agreeing with all of them. Linking old post with perfect anchor text is more important and I always do with a lot of care. Usually, I link 4-5 relevant posts for my every new blog post but not following the “Recommended reading” method. I’ve read in somewhere that it would not be a good SEO strategy (I’m not sure) but I’ve seen in many popular blogs following the same way. Will try to do that interlink method for my upcoming blog posts. I never make duplicate internal links and I know its impact. Yes, of course! Too much of anything is good for nothing and thus we should limit linking our old posts. I completely agree with your point “Link old post which generates regular traffic”. If we link good PR (Say PR1 or PR2) to our new blog post, it would help the new post to rank better on search engines and I experienced this before. Thanks for agreeing with me but where did you read that using “recommended reading” is not a good strategy? In fact, this is cool way to let you readers directly know what they are going to read on that link. I love this way because it helps me send good amount of traffic to my older blog posts. Yes, Interlinking helps blog in many ways.. not just the SEO benefits but there are a lot more benefits. Keep visiting. I appreciate your thought but we don’t force or push in this way but we are just giving them something related.. so that they can open in new tab and after finishing the current article they can read that too. By the way, If you think that pushing a little is bad then how can you build a email list in future when you think of it because you have to ask your readers to sign up to blog to get the posts in their email. In short, I don’t think it is anything like “pushing” but its just that we are giving them something valuable to read. But agree with your point that we’re providing helpful data for our beloved readers through “Recommended reading”. That’s a indepth post. When it comes to internal linking, Wikipedia is the best example. Half of thier authority will be carried over to all the Wiki pages via internal links itself. Internal linking helps Google is understanding the correlation between diffeent pagesin your article. If Google understands the strucure of your site better, it ranks you higher. The bonus point is, internal links also helps to reducr bounce rate drastically. Although there’s no strict rles for using anchor texts for internal links, anchor text diversity should be there. It helps you in ranking for broad and lateral keywords. Including LSI or related keywords in your anchor texts would be the best bet. Thanks for reading my post Akshaya! I agree what you have said above and regarding anchor text, there should be diversity but relevancy must be there because we don’t interlink just for the sake of SEO but we do for our readers too. Right? As you said using LSI or related keywords in anchors can be good, I agree with this mate. Thanks for coming by and adding more value to this post. Very useful post as it is repeatedly advised to properly interlink a post but not told with that much details as you mentioned. Another advantage of putting the interna links in top paragraphs of a post is their readability at home page where a visitor can directly have a look at the summary of each post clearly showng the interlinks also. Direct insertion of post URL within paragraphs with the tag of “You May Also Like” does not put good impression on readers as it offers the readers to skip the post which they are reading and jump to the link of suggested posts. Thanks a lot for sharing this post with so many unique info in it. Mi Muba recently posted…How to skillfully change your blog niche for earning big money? Thanks for reading the post and I agree what you said that “you may also like” or recommended reading can be bad idea but if it works great in many ways..by saying this, I don’t tell my readers to skip this post rather I tell to read this post too. However, I liked that you have putted your views out here and added value to the post. This fact is true that interlinking is the crucial part of seo. I never forget to interlink my posts. Nice information for those who don’t know it. Neeraj Mishra recently posted…How Many Calories Do I Need to Gain Weight? Good to know Neeraj that you do it regularly. Great tips you have shared. Interlinking is quite important. I know. I am trying to implement interlinking on my posts. Sir I want to know how interlinking helps us to improve search engine ranking. And also sir, manual interlinking or interlink with plugins, which is the best. One more thing, is there any interlink automation plugins available for wordpress. These are my doubts sir. Hopping you will resolve it. If you read the post carefully you will get to know how it helps to improve search ranking. I haven’t used any plugins for interlinking but using plugin is good practice if your blog has thousands of posts. 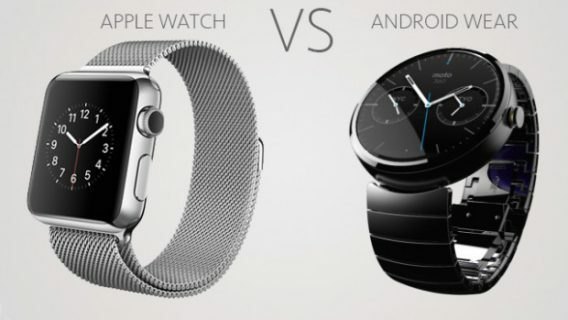 Both are good but I loved to do manually. There is a plugin called smart links can be useful. Thanks for stopping by Rahul. I used to avoid interlinking my posts maybe because I am too lazy to do that but now onwards I will take extra efforts to inter link my posts. Now, I am much aware of the benefits of interlinking. Thanks bud. I don’t think you are lazy as I have seen you commenting and doing guest post everywhere which is good. Its just that you are not used to of it. Start doing it and gradually you will be used to and then it will fine. 1) What type of keywords should I use as anchor text ? 2) Short or long tail keywords is better for interlinking ? 3) Is it bad for seo if I use same anchor text to interlink same post many times on deferrent posts ? By the way, very helpful article for interlinking. Thanks for sharing with us. 1. There is no fixed formula for it but suppose you are writing about a health care services in which you find that you have used a phrase “list of health care clinics” and if you already have a post in which you have mentioned about few health care clinics then you can add the link of that post on this phrase. The thing matters is that your anchor text should relate to the link you have given on that so that your readers will get relevant info. 2. Both kind of keywords are fine. Such as when I use the word “facebook” , “Google” or any word which are name of my blog’s category then I do link the category pages. Thus, In my opinion both are fine. 3. See, Google Penguin is there to fight with link spam or if I say more clearly, anchor tag spam thus don’t over use he same anchor text with same link. As I said in the article, in SEO always do things in limit Excess of anything is bad! I am glad that you have asked questions to clear your doubts. Let me know if you have any more questions. Thanks and keep visiting mate. Its all my pleasure Mrinal. Try to use keywords in sub headings. These are the on site things you need to do and after it try build some good dofollow links for that post using the keyword and its related terms. Don’t overdo it. Thank you so much Bro. You & your articles are really very supportive & helpful. However I didn’t understand it in as much depth as I do now having read your post. There were some useful tips that I will implement on my next post. Glad to see you here and I am happy that you have learnt something today from my post and going to implement on your blog. I’ve seen people overdoing this method and I’m sure that is not so good for their SEO factor. It must be done like you mentioned above. Always good to see you here on my blog. Interlinking an help in many ways as I said in the article and yes, doing the right way is the most important thing for any strategies! Overdoing anything is bad as it is well said “Excess of everything is bad”. Glad you liked the post Donna. Please keep coming by and share your views on my blog. I used to interlink my posts previously. But I stopped doing it now. Let me get rid of that bad habit and start interlinking now onwards. One more great depth of seo tip from Atish Ranjan , how internal links helpful to our blog/site … I used to have some of posts but now will maintain on every post will follow your tips won’t exceed or avoid multiple internal links.. thanks for the post.. Thanks for appreciating my efforts Charan. Keep visiting on my blog. This is one of the best SEO strategies, as well as to keep readers engaged. After all websites are not like books and linking relevant posts is very important. Thanks for coming by James and sharing your thought. knew about the benefits it fetch out of this! Your post said it in a well explained way about it and I like it too! previous one too to implement this one by one. Thanks Atish again for this informative and educative tool! “A post but not told with that much details as you mentioned. Another advantage of putting the interna links in top paragraphs of a post is their readability at home page where a visitor can directly have a look at the summary of each post clearly showng the interlinks also. Hi Mi I have a small doubt here: “Hey, if we place such link in the intro or in the beginning para Will not the attention of the reader will go to the other page and ultimately he may not return back to the original post of course this may be rare but possibilities are there right? Thanks for all of your kind words. Yes internal links are great way to build links within the site. Isn’t it amazing? Oh! I am honored to read Mi Muba’s word that he didn’t get this much of explanation about internal linking. Thanks for coming by and spending your valuable time! Atish I have seen man bloggers that have busted out their blog due to inappropriate interlinking and over optimizing the blog that resulted in taking the website out from the blogging world. And they are really good bloggers earning pretty much well. So its not just for new comers but also for the experienced ones. Interlinking can either make or break your online presence. Yes, Interlinking should be done in a good way as I have mentioned in the post. Thanks for sharing your views about it Aditya. Wow i really don’t know about internal linking before i read this thanks for sharing Atish Bro. You have written a very useful and informative article….I used to do back link building but i have never done this interlinking of posts…..you have explained the concept very well and i will try the concept in my blog…..I thought of it earlier also but did not understand it well…. Thank you for liking my post Karnal! Keep coming to my blog. Hay brother, I have a question for you. In the word-press blog while we interlink post, the whole post link is actually parsing. Should i have remove while interlinking? I mean to the in the pop up window. I am not getting you question completely. What do you mean by parsing here? Please describe your issue in a little detail please. Thanks! Hi Atish, I am thankful I found your post it will be very helpful for me since I just started to create my site. Thank you so much. I’m waiting for more wonderful blogs. Glad you liked the post Ron. Keep visiting to my blog. You’ve made some valid pointers here. I “was” also too lazy doing on-page SEO before and then even used plugins to do it for me but I noticed it wasn’t doing really well. So now, I am doing it manually. Exactly, Plugins don’t interlink in natural way thus I love to do manually. Thanks for coming by Arsie. Once again i found very useful post on your site. What a nice and well written post indeed. Really its so helpful for all the search engine optimizer especially for me. I get some extra knowledge about SEO while i use to read this article. Please keep posting such helpful post. Thanks for liking my post. Keep visiting and share your thoughts with us. Please write your name from next time otherwise you will be marked as spammed! Interlinking of the post have been a major factor of on page seo everytime apart from that linking also improves the bounce rate and time active on site. This article made me realize some major things to keep in mind while interlinking. Good to see you here. Interlinking is indeed a big factor and plays an important role of your blog’s SEO. Great for large blogs and websites. useful article for learning how to interlink blog posts. When I write new content, I always link to at least one old article (generally I crete 2-3 interlinks). It’s indeed very important, not just for SEO, but to increase our readers experience. Thank you for stopping by. Yes, its not just SEO but good for readers’ experience. We all know for all the meanings or synonyms in Google or Bing Search, we can see wikipedia results. It is because of more internal link building. Internal linking from 8 – 15 links per page is normal. Thanks for sharing your views Ganesh. One more finest post from you . I want to ask that can we use direct url in the article ? ?Will that be helpful?? Like if i am writing article and i want to make interlink , instead of using anchor text if i write exact url in the article will that be helpful ??? Please help me with this ….. Yes, you can put direct url as well. There is no harm in that but too many urls without anchor tag in a post can make it look bad, rest is fine. You can do it. Great post here on interlinking. I noticed last year that when i started using interlinking on every post I did, I had a jump in traffic and my stats gotten better. I didn’t know that when you use two links leading back to the same blog post, that it only counts for one. Sometimes I would do this, not for SEO purpose, but as a reminder since I would have a link towards the top and the same link towards the middle or bottom of post. Thanks for sharing Atish! Have a great weekend! Good to see you over here on my blog. Yes, interlinking boosts up the traffic and also helps reduce bounce rate. We don’t do anything for SEO only but for readers too thus linking 2 times is fine when you are thinking for readers. Keep visiting to my blog Mate. I appreciate your article about the right way to interlink our blog posts. I was taught this several years ago, but I think it’s becoming more and more important, for relevance and user experience also. I try to switch up the type of linking I do. Good to see you here again. I am glad that you liked the tips and going to apply it on your blog. Visit most often to get cool tips. Very nice and interesting post. I do really enjoy reading and learning from your article. I must admit that I’m new to SEO marketing. In fact, I just set up my page since last week and I know I still have a lot to learn. I just checked your other posts as well and they’re very informative. Just bookmarked your page for reference. Thanks Atish and keep it up. Cheers! Thank you for coming by. Keep visiting to my blog. Internal links are indeed required and I am lacking in this. After reading your post, I am going to do it heavily on my blog. Glad to see you back on my blog Sarah. Thanks for reading the post. Yes, internal links can help you greatly. start doing it today. Sorry I came late here but this is indeed a great article. I didn’t know that we can build links for our posts within the blog. Amazing! You came to read that’s well enough. Glad you liked the post. Keep visiting. Cool post with so many facts out there. Links are beneficial in any form. link building within the blog is really amazing. Nice posts Mark. Mark White recently posted…How to build backlinks in a good way? I am glad that you found this post interesting. keep visiting to read post like this. 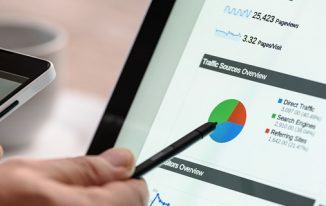 Very nice post.I really like the points and I am hoping that the we all must look into it seriously.I read all points and your tricks for seo bloggers is great.Your tricks are effective.I hope all bloggers are like this post. Interlinking is one of the best way to reduce bounce rate and increase engagement. Are there any tools to automate the process? I heard that there are such tools which can automate the interlinking process. I believe doing it manually but there are many plugins for it such as smart links and others.. Thanks for coming by Imran. Great insights! I was putting the interlink on the bottom of the post because it seems like a logical ‘next step’ for the viewer to give them more information and keep them on the site. Thanks for the article and all the excellent information you provide on your site. That is a good way too but we need to keep user experience as well as search engines both in mind. Thanks for coming by David. Nice Post, No doubt internal linking is a great way to decrease bounce rate and also helps to index your site faster in Google. Additionally, if you link a site is some cases they might link you back too. Thanks for reading the post Patel. I agree what you said. Really very great and informative content you post about Interlink. Much obliged to you such a great amount of for offering this marvelous post. Hey buddy, how are you going? I really enjoyed your post about internal linking and this has definitely helped me out a lot. I fully agree with you when you said to use proper anchor text and DON’T over-do it. This is critical to not do. I’m not sure if you included this but I’ll right it out to help others. When you right your post, you should be linking your LSI words, these are words related to your main keyword. 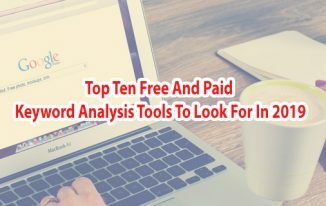 Meaning these anchor text you are linking, these are other words you will also be ranking for to boost your SEO. Thanks for reading and click on the my name to see a blog I found seems really awesome so come try it out. Thanks Brandon for a good comment and adding value to my post. Yes, I know about LSI words, these are similar or synonymous words. Linking LSI words is absolutely a good idea. Targeted traffic comes with SEO. Good tips, I enjoyed the suggestions and comments from everyone! Thanks for reading the post Sehar. “Great blog post Atish, it is a very precise and informative article. Every new blogger or webmaster should read it. I was reading the conversation between you and Nirmala and i totally agree with you “recommended reading” is really useful to the reader. I personally admire when a writer makes an effort to find the resources that could help out his reader to gain more knowledge on the topic. 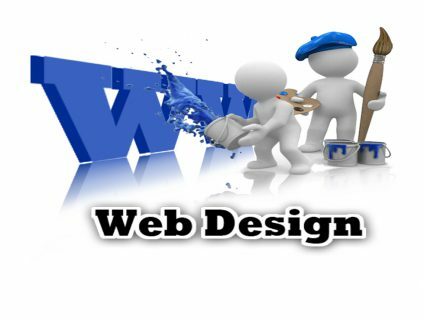 It is also good for your website to increase your interlinking and improve your website structure. This technique also helps in improving the indexability of your website. Thanks for your good words. Please put your real name in the name field so that we can personally know each other. Don’t put brand name in there. Thanks for coming by. This is genuine that interlinking is the pivotal piece of seo. There were some helpful tips that I will execute on my next post. Great to hear good words from you Rahul. Thanks for reading. Well, I would recognize that they above article is really nice article about using of interlink. Honestly, I would admit that I am not a SEO man that exactly right about internal linking strategies. I always link to my older article with exact keywords, because I want to pass the link juice with those keywords. Thanks for sharing, I start to make sense about that..
Glad you liked the post Kimsea. Thanks for coming by. Great to know that Syed. Thanks for coming! I didn’t do this initially, however about a year back I began attempting to include links toward the end of every post, and I do think it has served to build traffic and subscribers. I attempt to connection to my most prevalent posts where pertinent. Thanks for reading my post Nasim. Glad you liked it. and I always do with a lot of care. popular blogs following the same way. You can add as many internal links you want but always be specific and add only the relevant ones. Don’t do it just for doing rather add only when you feel relevant ones. Thanks for stopping by mate. Great write-up. Really thorough post, and very informative. Informative on the basis of headlines only, haven’t read the complete article yet but bookmarked it. But as people have commented, it seems like it will solve all my doubts regarding interlinking. Thanks for coming by Aman. Hope you read the full post. Thanks a lot Atish Ji for making such post and helping newbie to get his blog famous. It’s nice to visit your site regularly. Prakash Kumar Nirala recently posted…Hindi Tricks: एक Android में दो WhatsApp कैसे चलायें? Glad you like the articles on http://www.techtricksworld.com. Keep visiting. Informative and important article. You have shared such an article that will help us to interlink our blog posts perfectly. Internal links are really important to increase SEO score, increase domain authority and get good user experience. Internal linking also help us to reduce our bounce rate which is crucial for search engines ranking and your readers. Internal linking is an on page SEO factor and it has a great effect on your overall performance.